The new Cat CUV102D from Caterpillar which partnered with Textron Specialized Vehicles to produce their UTV line. The gas powered Cat CUV82 is the other model in the new product line. 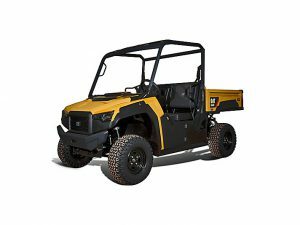 Last month Caterpillar announced that they were partnering with Textron Specialized Vehicles to produce a line of Cat branded utility vehicles. This month two Cat utility vehicles and their specs have been revealed. The CUV82 is a gas powered model and the CUV102D is a diesel powered model. There are already a fair number of accessories available for the vehicles including various bumpers, guards, windshields, roofs, full doors and some lighting options. For work related tasks a front winch, snow plow and electro-hydraulic power dump bed are available. The 2017 Arctic Cat Wildcat Trail SE is being recalled due to a winch issue. The 2017 Arctic Cat Wildcat Sport SE is being recalled as well. 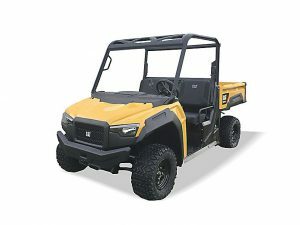 Textron Specialized Vehicles recently announced the recall of approximately 300 model year 2017 Arctic Cat Wildcat Trail SE and Wildcat Sport SE utility vehicles as well as approximately 3,000 winch accessory kits sold for 2014 to 2017 Wildcat Trail and Wildcat Sport UTVs. The winch solenoid can overheat and pose a fire hazard. 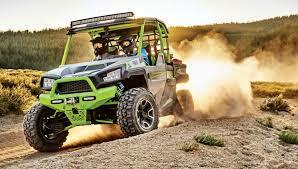 Owners should stop using the vehicles and contact Arctic Cat to schedule a free repair. 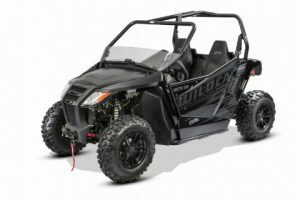 Arctic Cat can be contacted at 800-279-6851 from 8 a.m. to 5 p.m. CT Monday through Friday or online at www.arcticcat.com and then click on Product Recall for more information. This is a small recall but unique in that it is more a recall of the winch accessory than the vehicle themselves as the recalled winches outnumber the recalled vehicles 10 to 1. Hazard: The winch solenoid located under the operator seat can overheat, posing a fire hazard. Description: This recall involves all 2017 Arctic Cat Wildcat Trail SE (Special Edition) and Wildcat Sport SE ROVs with winch solenoids installed as original equipment and winch accessory kits sold separately for use on 2014 through 2017Arctic Cat Wildcat Sport and Wildcat Trail ROVs. The ROVs have four wheels, side-by-side seating for two people, and have a black chassis. “Wildcat Trail” or “Wildcat Sport” is printed on each side of the vehicle. In addition, Special Edition ROVs have “SE” printed on each side. 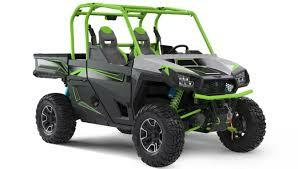 Remedy: Consumers should immediately stop using the recalled ROVs and contact Arctic Cat to schedule a free repair. Arctic Cat is contacting all known purchasers directly. Incidents/Injuries: The firm has received 49 reports of winch solenoid failure, with five resulting in fires. No injuries have been reported. Sold At: Arctic Cat dealers nationwide from February 2017 through August 2017 for about $17,000 for the ROVs with the winch accessory kits installed. The winch accessory kits were also sold separately from December 2013 through August 2017 for between $200 and $600. 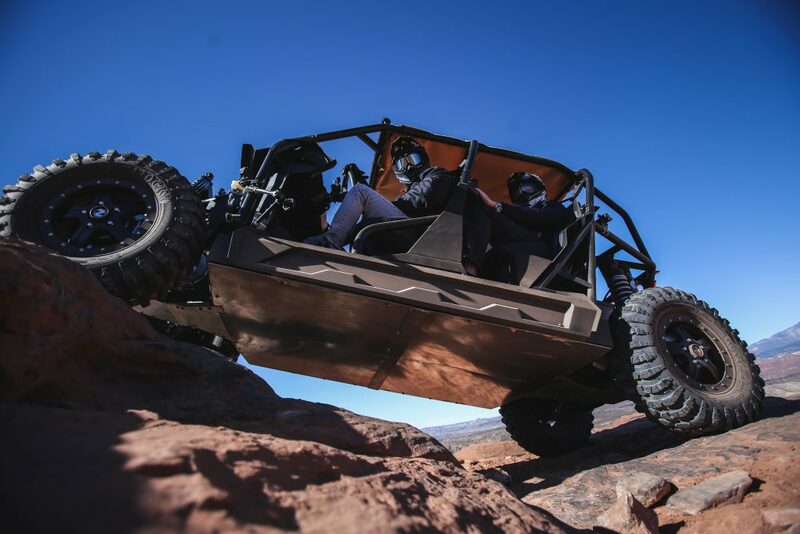 The new Havoc X from Textron Off Road. The new crossover Havoc X at play. 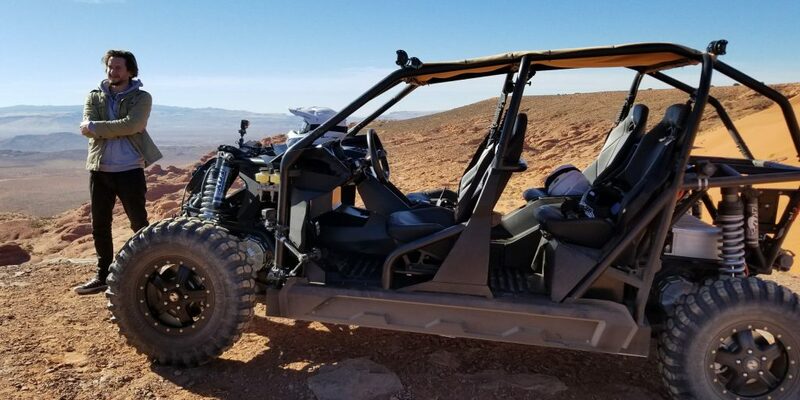 Signaling an aggressive approach to the side-by-side market since acquiring Arctic Cat, Textron Off Road revealed their new Havoc X crossover utility vehicle. 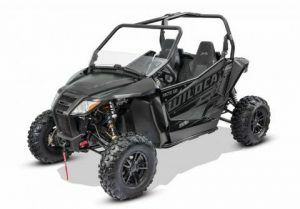 The new model is likely the start of new product line targeting the market between pure recreational vehicles like their Wildcat models and the more work oriented vehicles under the Prowler name. The Havoc X has an abundance of high performance features for work and play. For starters there is Textron’s own 100 hp, 957cc, SOHC engine with EFI. The front and rear double A-arm suspension coupled with King 2.5″ piggyback reservoir shocks with 30-position compression adjustability provides 12.8″ of front suspension travel and 12.9″ of rear suspension travel. There are front and rear sway bars as well. The Havoc X also features 13″ of ground clearance and 28″ ITP Ultracross tires on 14″ aluminum wheels. Based on the specs the Havoc X looks like a pretty impressive vehicle with a lot of solid features you would expect in a high end vehicle. The horsepower is slightly less than what some had predicted from a reveal of an early prototype around May, but still impressive. The Havoc X is clearly taking aim at the Polaris General product line. This new entry is yet another sign of how competitive the side-by-side market is. The competition is providing consumers with a wide range of vehicle choices across many market segments and over a range of price points. While many of the high performance vehicles for both work and play are pricey, they also come packed with many features and extensive capabilities and the high level of market competition is likely to keep pricing down.